you are still working on your 30 meals. Good for you! 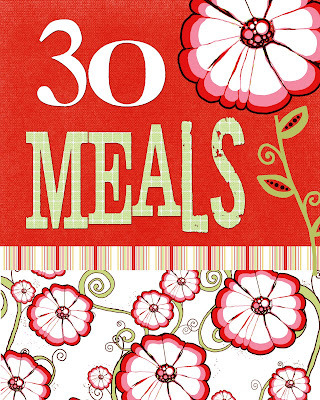 Want the 30 meals binder cover? Download it here. If you are new to nannygoat then you are probably wondering what we are talking about! Well, if you want to make dinnertime a breeze, grocery shopping more efficient, save money, AND have your kids love EVERYTHING you make for dinner... then you need to check out the 30 meal plan. It is ALL about simplifying and making life (specifically dinnertime) pleasant... is that possible?! Now, if you LIKE dinnertime chaos including you searching through cupboards and flipping through endless recipes TRYING to come up with SoMEThiNg to eat all while your children are screaming at each other (due to low blood sugar of coarse) and begging for treats then you DO NOT want to do the 30 meal plan... enjoy your anarchy. But, if you like peace and happiness and yummy food then JoIn In! Oh, this sounds wonderful. I need to look into it. Off to read more about it. Love this! Did you ever do an excel template of your grocery list for everyone? I'm somewhat excel illiterate. I love this. It's a variation of what I do. I have many different list of 4-5 meals that go together (so I can buy in bigger quantities and things don't go to waste, or for those recipe's that only need a little of someting that cost more than you want to pay and kick yourself ever time you have to waste it, at least that is the way for me) The list has the recipes, ingredients and a somewhat list of the steps I take to do all the preperation before hand. I love being so organized. It's nice too because I feel that I am able to mix up my meals by having a protein meal, an all veggie meal, a meat meal etc...throughout the week. I love the way you organized your shopping list. That is one of the things I couldn't quite figure out! Thanks!!!! I have a blog dedicated just to my recipes if anyone is interested - I love sharing: http://letseat-recipesbycamille.blogspot.com/. My girlfriends and I get together every month for a recipe exchange and I'm getting quite the collection. Love your website. I thank you from the bottom of my heart for simplifying my meal planning! I mean to do it weekly, start to do it often, and then just let it go (partly because my husband does the cooking and he is NOT a planner). It annoys me that we are not saving as much money as we could and on nights my husband goes to school, I have nothing prepared. This is really helpful. Thanks! What a great idea! I am definitely going to try this out! Also, I recently saw some magnetic storage boxes (designed for locker use)at Big Lots that might work to hold the week's card - I think they were $1-$2 and came in several colors. They were located with the school supplies. I love this idea. I'm going to get started! I really loved this idea, but, never got around to doing it. Just so many other things. I ended up saving my favorite recipes in a folder on my favorites tab. I did however convince someone else to do this, and she said it's working great for her!! I want to thank you for this, so much! Not only has it reduced the "what do you want for dinner?" and "well, what do we have? ", but it has changed the way I shop for the week's food. Where I would pick random meals and have a really long list (sometimes 2 sided) for the grocery store, planning my weekly meals with my 20 meals (which will grow as I feel like trying new things) has reduced that list to under 10 items! Of course it helps to stock up items for these dinners with sales and learn how to store food so we can use it later. My husband thanks you too. He hates the "whats for dinner" ritual. Thanks again!!! I liked you to my blog http://thejourneyofawahmwannabe.blogspot.com/2010/04/day-2-my-gameplan.html. I think this is a great idea!!! My husband and I have a 6 month old and this will be great to use as she is growing up. What a great idea! I am all about meal planning and this would make it soooo much easier!!! I liked it so much that I blogged about it today and have started creating recipe card prinatbles! Here is the link if you want to check them out: http://mamakenzstudio.blogspot.com/2010/09/30-meals-and-recipe-card-printables.html Thanks for the great idea and detailed posts! 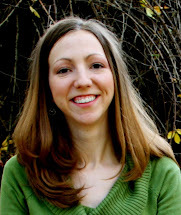 Could you please repost your title page download? The link doesn't work. I linked to this post on my blog today! Great idea I'll be implementing for my meal planning. Thanks ladies for the great idea!! !